Ladies and Gentlemen: Welcome to Our Virtual Tour of 18th Century Fairs! 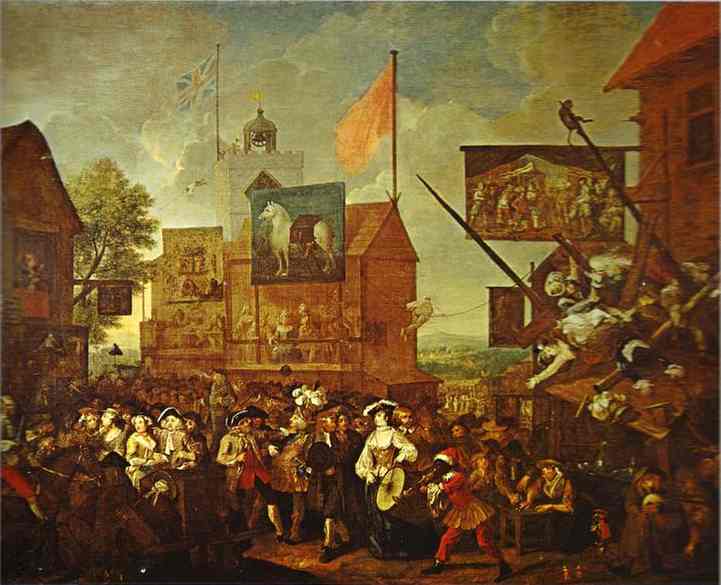 England's finest and most notorious fairs of the 18th century: the May Fair, the Bartholomew Fair, and the Southwark Fair. If you have a love for gambling, theatre, delicious food, and delicious women, you can bet on seeing a different side of the English people--we are not always so prim and proper! Whether we will be attending a business fair, a pleasure fair, or a fair sponsored by the King, we will surely encounter plenty of interesting sights and sounds. Do not be concerned Dear Friends, for if you are famished, we can indulge in a bite as we experience the many things to do and people to see at these public places.